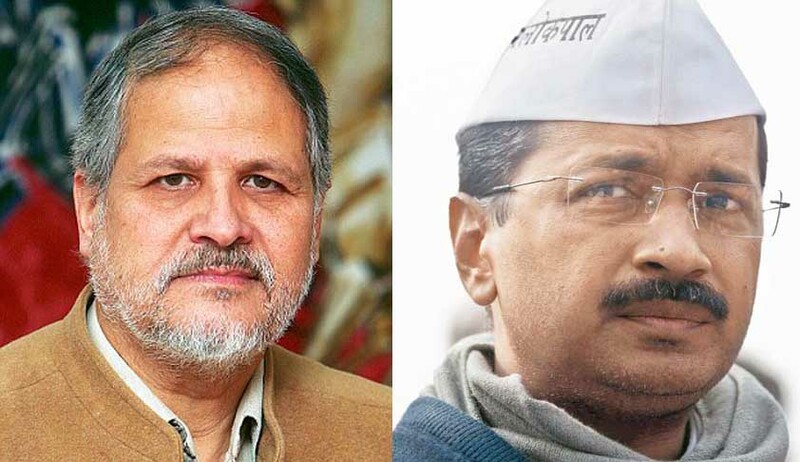 The much-awaited hearing of the petition filed by Arvind Kejriwal government seeking demarcation of powers of the state government and Lt Governor Najeeb Jung who have been engaged in a prolonged battle of wits seems to be a non-starter. After Justice J S Khehar recused from hearing the plea yesterday, today it was the turn of justice L Nageswara Rao to withdraw from the case. Apparently the reason is that Rao was an Additional Solicitor General of the Central government before he quit the post and continued active practice before being elevated to the bench. This meant that the case will now travel to a fourth bench within a span of five days. First Chief Justice T S Thakur said he will refer to another bench which was Justice Khehar’s bench. After he recused yesterday it had gone to bench headed by Justice A R Dave who sits with Justice Nageswara Rao. After Justice Rao recused, advocate Indira Jaising who represented Delhi government once again mentioned the matter before Chief Justice T S Thakur for an early hearing. CJI Thakur said he could not specify the date as it all depended on the holiday for Id. He hinted that if the “holiday was tomorrow, it may be heard as early as Thursday”. Yesterday Jaising and Rohatgi who appeared for the Centre got into a heated verbal exchange after a bench of Justice J S Khehar and Justice Arun Mishra said they could not hear the matter for some reason and it has to be placed before another bench. AAP government is seeking a direction to restrain the High Court from delivering its judgement on issues including the scope of powers of the city government to exercise its authority in performing public functions.